You may not know but there is a thriving business in police station representative work. Solicitors are often unable to attend the police station personally, this may be because they are in court, in meetings or attending another police station when the police are ready to begin the interview. So, many will turn to rep agencies, who will dispatch someone to look after the solicitor’s client. It may not be obvious to the police or client that this is what has happened. The rep may be a police station rep, a solicitor or a duty solicitor. When the solicitor (I’m going to say solicitor because I can only talk about me and I am a solicitor) gets to the police station he needs to advise the suspect on the law, evidence as disclosed by the police and whether the suspect should answer questions in interview. 5. Answer some questions but not others. In my opinion, option 5 is the worst possible approach to take and a client should never be told to do this because it will look like he is trying to avoid questions to which he has no answer, which everyone will assume is because he’s guilty! I also see little point in option 3, and I’ll explain why in a moment. Before giving advice, a solicitor should recognise that a conviction in court does not rest upon your client being innocent or guilty. It rests upon whether sufficient evidence can be brought to bear that convinces a magistrate or jury that he is guilty. 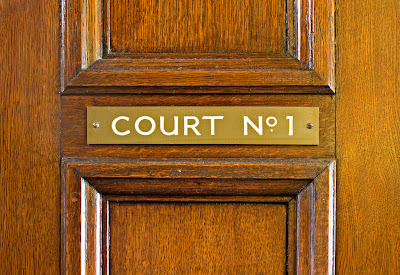 When considering what advice to give, a solicitor should always be asking “how will this approach look to a jury in six months’ time?” Many clients worry about how their approach will look to the police officer sitting in front of them but, with respect to any police officers reading this, that is the wrong way to look at the problem. If the police have sufficient evidence to charge they will do. If they don’t they won’t. While a police officer may not like you personally, it doesn’t change the test that must be applied when reaching a charging decision. My view is that you should take a starting point that you will advise a “no comment” interview and only deviate from that position where there are good reasons to do so. The benefit of a no comment interview is that you cannot add to the evidence against you. True a future judge may tell the jury that they can draw a proper inference from your silence but as my criminal advocacy tutor at Bar School said, “if you can’t deal with an adverse inference then you shouldn’t be practising in the criminal courts!” On the flip side, I’ve seen many people end up in court (and even in prison) because they said something in interview that the police would not have been able to prove but for their confession. As well as not increasing the evidence against you, remaining silent will force the police to show their hand. This is particularly useful in serious cases where the police are likely to have withheld some elements of disclosure from the solicitor or may be following a staged disclosure protocol where the interview is stopped every so often for more evidence to be revealed. Withholding evidence is also a tactic employed where the evidence against a suspect is weak. In one case I dealt with the police disclosure was that the believed my client to be a suspect in a robbery because his DNA was found at the scene. They refused to reveal the location of the robbery or the nature of the DNA! We remained silent until the police were forced to reveal that the robbery took place outside the block of flats in which the suspect lived and the DNA match was to a used cigarette found by a dustbin at the entrance to the flats. Clearly answering questions would only have bolstered the police’s evidence, particularly as the client was guilty which we found out when he decided to confess against my legal advice. In another case, a husband was accused of assaulting his wife causing bruising to her face. The police disclosed that other family members had already given an account saying that there had been no assault and that the “bruising” was in face a skin condition the wife had had for many years. The client remained silent since he could not improve the account in his favour and was released without charge upon conclusion of the interview. Once you have heard the police set out their stall during the interview you can always decide to issue a prepared statement after the interview. I know police officers hate that and often make a big show of claiming your client has had his opportunity to give his account but, let me be blunt, if they ignore a piece of evidence because they don’t like the timing of it then they are likely to be guilty of professional misconduct and risk jeopardising their entire investigation if a judge hears that they ignored evidence. You can also put the statement as an answer to the charge should the client be charged. Answering all questions has the benefit of putting forward your account early, which may make what you say more credible to a jury. Although, if you later recall something or it emerges you have missed something out then you can expect to be attacked about your change of story by the prosecution at trial. This can be a problem when events happened some time ago or in the heat of the moment when your recollection may not be perfect. I once went to a police interview of a mobile phone shop worker accused of fraud where the police proposed to ask questions about several hundred mobile phone contracts he had sold over the previous couple of years. The idea of him being able to answer those sorts of questions accurately is ridiculous and the case is a good example of when answering questions might lead you to say something that can later be proven incorrect. He went no comment. Giving your account avoids the risk of an inference against your client being drawn (unless of course he is caught out lying, which would be much worse for him) and it allows him to raise defences that are then for the Crown to disprove. Prepared statements might just be the most useful tool at a solicitors’ disposal in the police station. I’ve already said that answering some questions and remaining silent on others is a terrible idea, but a good prepared statement allows you to do just that. Prior to interview the police should give the solicitor disclosure about the evidence they have and what they plan to interview about. A solicitor can then use that to craft a prepared statement that deals with the issues raised in disclosure while brushing over any points that might be difficult for the client to handle. A well drafted prepared statement can avoid an inference being drawn at court, show the jury that your client has been telling the same story from the beginning and avoid difficult questions. I have heard of some people giving a prepared statement then answering questions. I cannot see the point of that approach since anything helpful you put in the statement can still be undone by poor answers to questions. In addition to situations where a client does not wish to divulge all he knows to the police but does wish to give some information, prepared statements can be useful where your client is not up to being interviewed. You’ll often come across people who will not be able to stand up to even gentle questioning and are likely to do more harm than good. In those situations, a prepared statement is often the answer. When there is sufficient evidence to convict and your client admits guilty then giving an account is the only way to divert a case away from prosecution and towards an alternative disposal such as a caution or reprimand. That is the one exception to my rule of asking yourself how an interview will look to a jury in six-months’ time. I always sound out an officer about the possibility of diverting a case away from court prior to speaking with my client. Although the stock response is that any diversion must be authorised by another officer, most officers will tell you whether they think such an outcome is likely and whether they would be willing to recommend it to their superior. In conclusion, my view is that unless there is a positive reason for answering questions or giving a prepared statement in a police interview you should be advising your client to remain silent. On the whole I agree. As counsel presenting the defence case months later in the CC I prefer a good prepared statement and No Comment in interview. One of the real problems these days is with staged disclosure where the police deliberately hold back info they should disclose at the outset and drip feed the info before a succession of interviews. This is clearly designed to frustrate the right to silence. That right still exists in this country even if watered down and it illustrates the simple proposition that if the police don't have sufficient evidence to charge why should a suspect be expected to fill in the gaps in the evidence? A prepared statement containing a provable lie is just the best. Had one recently where the legal rep just sighed and looked to the ceiling when the lie became clear. Signed, sealed and unequivocally delivered. On the whole though I think your article is very interesting and helps explain some of the things I see regularly. I've seen first hand the ridiculousness of people trying to lie their way through an interview where they're unrepresented only to fold near the end when things stack up against them and admit the truth. It never looks good and is frankly a waste of my time too. I've also seen rubbish prepared statements which say very little and almost by the glaring omission of a key aspect of disclosure imply that's exactly where my investigation should be looking harder. We've occasionally had out-of-county city firms turning up to represent clients in our county town custody block try the 'no comment throughout then prepared statement at charge' approach. It just comes across a bit silly but maybe they're used to more cut and thrust shenanigans on home turf? One other thing I've seen recently is one legal rep writing the prepared statement on their legal pad and refusing to provide a copy. They read it out at the usual point in interview and basically said if we wanted it get the tape transcribed. Seemed unnecessarily obstructive. As a rule of thumb, how well does "give a statement/answer questions if you're innocent, keep silent if you're guilty" work? If you are guilty then being honest isn't going to help and lying (even by omission) just creates opportunities to prove you were lying and discredit you. If you are innocent then you might be able to avoid a charge or at least avoid any later adverse inferences. Experience tells me that not everyone who thinks they are innocent actually is, e.g. had a client who saw his friend being attacked in a club. He had a glass in his hand and threw it. In interview, he said he was acting in defence of his friend. Evidence was clear though that his act went beyond reasonable force and he got his first ever conviction, a serious one for GBH! Also, the question isn't whether you are innocent or guilty, the question is what can the prosecution prove? There's been plenty of innocent people proven guilty, many of them will have answered questions in police interview. Is that the legal equivalent of a shout-out? Nice article. Just to be clear, No Comment is our cheeky (almost funny) trading name and not our advice in every instance! Its a company name that people either love or hate. We just thought it was memorable. I do think that every case needs to be judged on its merits so there are no blanket rules. Some cases will benefit from a no comment interview where others would suffer from the same advice. Sometimes the evidence is the determining factor whilst sometimes it is the nature of the client himself. If you would like me to link to your blog do please drop me an email sometime. Hi Mat, I loved the tag line. Thought it was hilarious. I explained it to the PC who thought it was advice & they saw the joke too. Though come to think of it, probably shows they were trying to read the rep's notes from the other side of the table! Now that is cheeky.